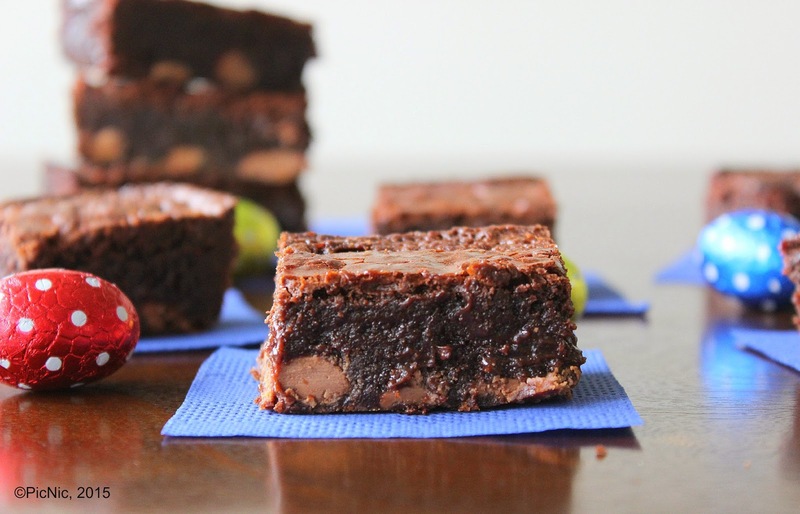 Brownies are one of my absolute favorite things to bake and eat. 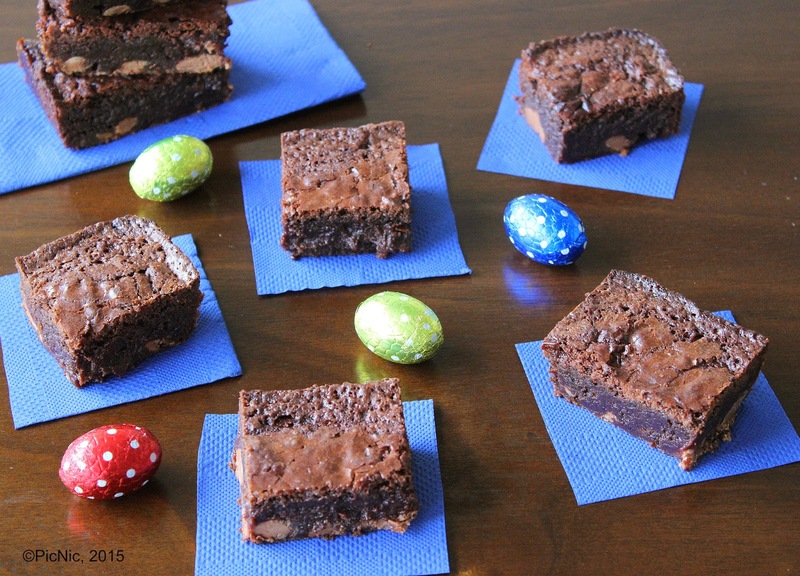 These easy brownies have the added deliciousness of caramel Easter eggs. These brownies are super gooey and fudgy and the chopped caramel filled eggs give a great added extra. These brownies are great eaten warm with a scoop of vanilla ice cream or lightly whipped cream. The key to getting nice brownies (and also the worst part!) is patience. The mixture takes a good while to set in the centre after cooking so you must be patient in allowing the brownies to completely cool before removing from the pan and cutting into squares or bars. 2. Melt the butter and chocolate together in a large bowl. Whisk in the sugars and then the eggs. 3. Sift in the flour and cocoa, and add the chocolate eggs, mix well. 4. Pour the mixture into a greased or lined baking dish. Bake for 30 minutes. Remove from the oven and cool in the tin before cutting into squares. Store in an airtight container. Chocolate and caramel, my favorite thing, these are amazing. You described exactly how I would eat them, warm with vanilla ice cream and whipped cream. OMG Nicole...these brownies look incredible and I bet they are so much fun to make! I would love to try them with my grandkids! Lovely! I am afraid that I would not be patient enough to allow the centers to set; that is how I roll! Great job with these, Nicole! 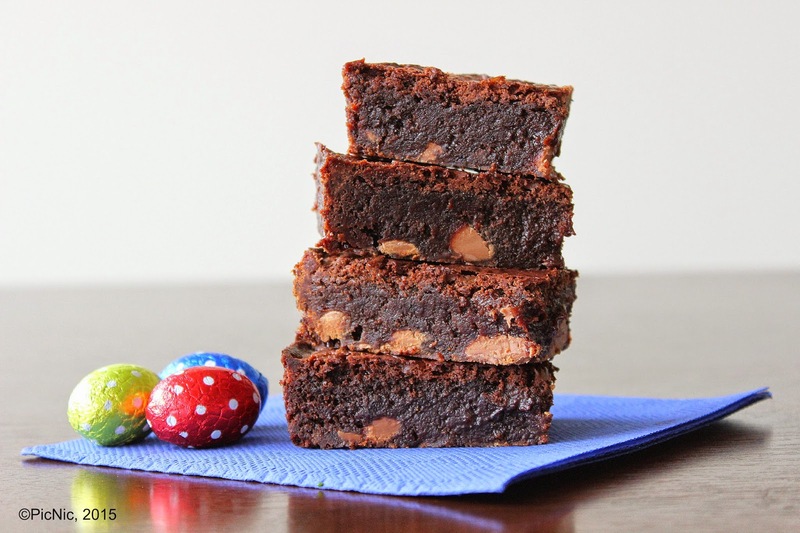 I can tell these are perfect brownies and I love the addition of Cadbury Caramel eggs. Terrific photos, too, Nicole. Great job!! The chocolate looks great and the Cadbury eggs look good. What a lovely idea! 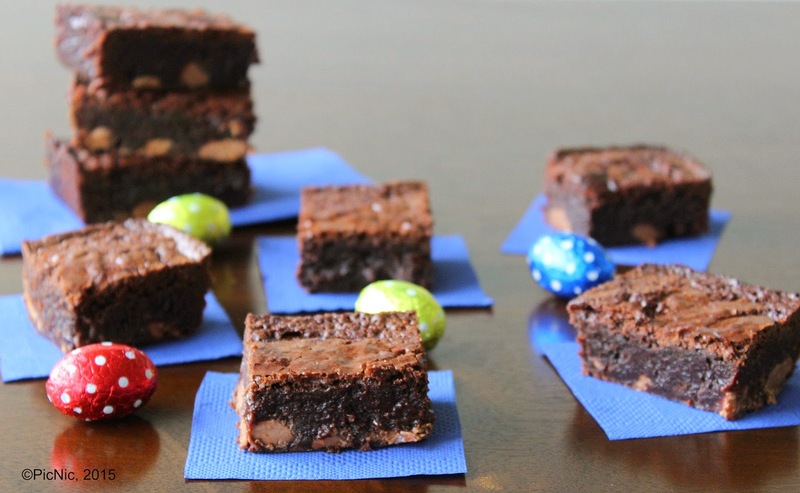 Your Mini Easter Egg Brownies look mouthwateringly delicious, Nicole! What a delicious idea! Such a superb easter treat - my whole family would love this!